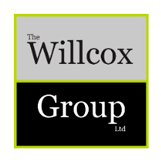 The Willcox Group have worked closely with Action HR for nearly 10 years. In that time Su Willmott has reviewed all of our HR processes and systems, she has worked with us to ensure that all documentation and operations are implemented in accordance with current regulations and frequently updates and reviews as changes occur. The bespoke handbooks and documents ensure an HR solution that ensures compliance whilst meeting the individual needs of the business. Every telephone call and email are an education and Su ensures that we have a clear understanding behind the actions and practices she asks us to implement. Through the ongoing improvements and enhancements, the company has seen a dramatic reduction in the number of HR problems and when and where issues do arise, the team are well practiced and confident in dealing with such matters. The prompt response times of Action HR ensure that we are never without the informed consultation and backup. Su Wilmott has supported our business for well over a decade; always available at the end of a phone and/or email, with solid and well trusted HR advice and knowledge.She keeps us up to date with legislation and ensures our Company Contracts of Employment are current as well as our Company handbook. We have also involved Su in disciplinary hearings and found her to be objective, empathetic and firm. I would have no hesitation in recommending Su to any Company looking to develop a long term relationship with a thoroughly professional and diligent HR consultant. Action HR have provided an excellent HR service for us for several years; Su Willmott is a thoroughly dedicated and highly knowledgeable professional in her field.Su always responds to any queries immediately and it is very encouraging to know that her help and guidance is available when needed. As part of the service , we are also kept abreast of relevant HR issues with regular informative updates which we find extremely useful. It is great to work with such a professional company and have peace of mind that our HR requirements are being well looked after! Action HR was introduced to our business 10 years ago. We started IPS in 2001 and had steadily grown until we had reached approximately 50 employees. Realising we had very limited HR expertise within our business it was a fortuitous introduction. Meeting Su we quickly realised that her extensive knowledge and professional approach was a perfect fit, enabling us to quickly increase to 120 employees with the peace of mind that we were supported by Su’s expertise. The standardisation of our employment contracts and provision of a comprehensive employee hand book have proved invaluable. Su has a common sense approach to HR and deals with them with humanity as well as ensuring all issues are dealt with in accordance with the company hand book and current legislation. As a business we rely greatly on Action HR’s expertise keeping us abreast of current and changing legislation. Action HR has proven to be a supportive and long term partner to our business and we look forward to working closely with Su in the future.